Get your acrylics ready, because TNT is heading back to Palmetto this June for Claws season three. TNT announced the return of its candy-coated Florida noir, which follows a group of vivacious nail techs who have spent the last two seasons evading various mob operations while showing a considerable knack for money-laundering and criminal enterprise in general. 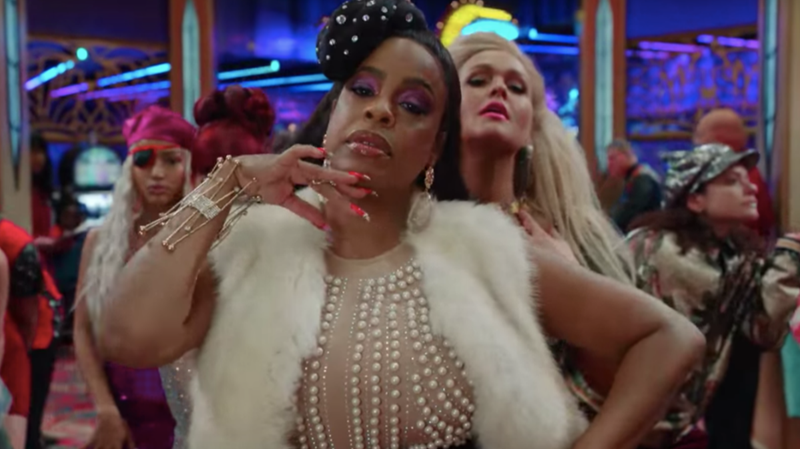 Season two of Claws, which comes from creator Eliot Laurence and showrunner Janine Sherman Barrois, saw Desna (Niecy Nash) and her crew—played Jenn Lyon, Judy Reyes, Carrie Preston, and Karrueche Tran—redefine what it means to be a ride-or-die: broken marriages and promises threatened the core ensemble, but they came back stronger than ever by the end of the season. But, if you watched the season-two finale, you know that Virginia (Tran) took a bullet for her boss and mother figure, Desna, and her future is uncertain. So maybe friendship doesn’t conquer all on this show? Just kidding—this first-look teaser shows Virginia walking around in short-shorts and just conspiring with the rest of the Nail Artisans once more. It also looks like the casino Desna inherited will play a significant role in the new season, which also sees Desna and Roller (Jack Kesy) firmly back together. And is that Uncle Daddy (Dean Norris) cleaning up at the craps table? Claws season three premieres June 9 at 9 p.m. ET on TNT.